M 1000 x 938px 2 Mb. L 2000 x 1876px 8 Mb. XL 3683 x 3454px 15 Mb. 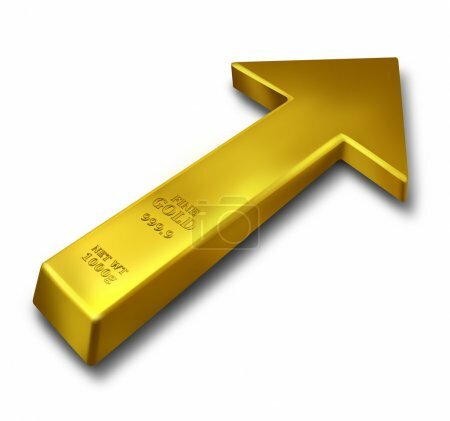 Gold rise business concept and commodities price increase symbol as a bar of yellow precious metal object shaped as an upward arrow on a white background.